Mary-Gail reported that the Saugie photo-op board being done by Skyway Printing in Hanover,will be ready within a few weeks. The board features Paisley’s founding fathers Samuel Rowe and Simon Orchard being welcomed by Saugie, our friendly river monster. It is to be located centrally in the village. Melissa reported that the Saugie costume, being made by Diana’s tailoring of Hanover, will be ready for Father’s Day weekend. Morgan Graham of Paisley will be wearing the costume at local events and pockets in the costume will hold information on upcoming Paisley events and promotional material for Paisley businesses. The chamber will decide on an honorarium for Morgan. Plenty is happening in Paisley on June 17, the Saturday of Father’s day weekend. The chamber is hosting a breakfast at the Legion where there will be a draw for $50 in Saugie bucks. Melissa Kanmacher, Sarah Pedersen, Dale and Sheryl Steinhoff will be hosting the breakfast. There is a community wide garage sale and sidewalk sale for the merchants. Alicia Gibbons will be looking after the radio advertising and the chamber will donate $100 towards it. A family cycling event, “Ride the Rivers” has riders enjoying our scenic riverside cycling paths. June 17th is also the big opening day of the Paisley Farmer’s Market. Signs will be placed around town to announce these events and all merchants are being encouraged to participate. They could display the blue Paisley print runners made by Joanne Buhr last year to give a more unified look to the downtown business. July 15 is the Artists on the River event on Water St. in Paisley. This year the Chamber of Commerce is pairing up with Paisley Events Association to sponsor the event. The Chamber’s Melissa Kanmacher will be organizing and running the children’s portion of the event, Fun with Saugie which will feature an art activity based on the friendly river monster. We hope to have Paisley’s own Cindy McKenna, the Saugie artist, on hand. The Chamber will also be providing a bag lunch for the artists. We are looking into the possibility of selling t shirts featuring Cindy’s artwork which could be coloured in with marker. Paisley Central School Preservation Organization- This incorporated organization has been formed to represent the residents of Paisley who are concerned about the future of Paisley Central School. They will be part of a co-ordinated effort with the Municipality of Arran-Elderslie and will meet with the senior staff of the Bluewater and District School Board to determine what and when the Board wants the community to do in order to keep the school open longer than the spring of 2019. This organization will also be responsible for channelling any funds raised for the school repairs through the municipality to the school board. Members of this organization include: Pat Kelly, Ken Cormack, Dale Steinhoff, Dale Buhr, Sheryl Steinhoff, Sarah Pedersen, Jennifer Harris, and Alicia Gibbons. Members of the group attended an organizational meeting with members of the Municipal Council to prepare for a future meeting with the Board of Education which they hope will be held sometime in June. 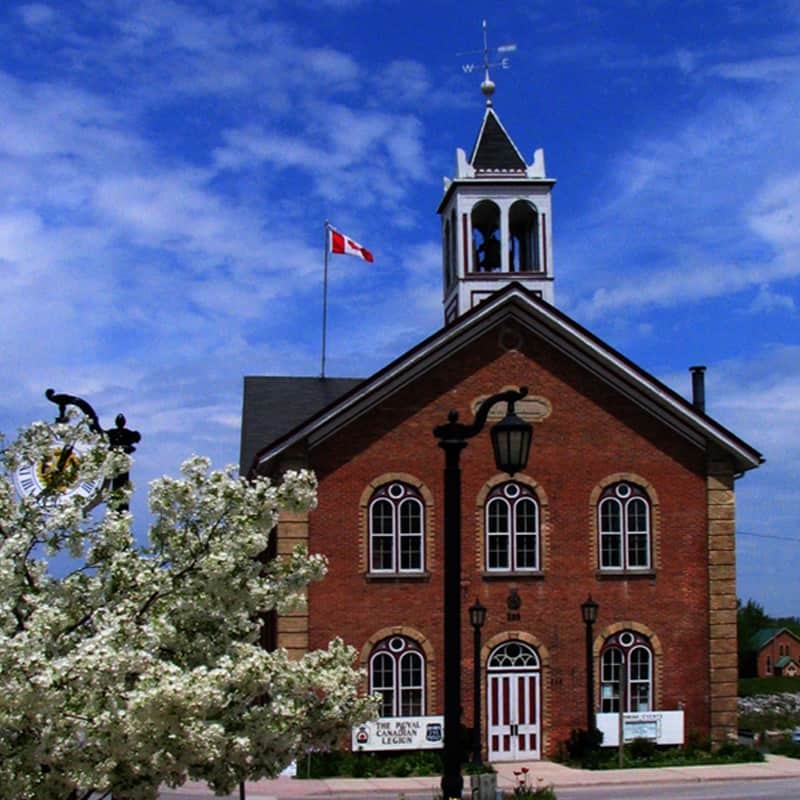 An advisory team sent out by the Provincial Liberal government will be hosting a meeting in Markdale this Thursday evening, May 25 to hear citizen concerns about the ARC process and funding formula for rural schools across the province. It is hoped that there will be a large turnout despite the short notice. A petition will be circulated prior to the meeting demanding 3 things: changes to the funding formula, a moratorium on school closures, and reintroducing the impact on the community to the process. A mass emailing of the petition is taking place so Bill Walker can submit it to Queen’s Park. Sheryl Steinhoff explained the difficulties in using the Rural Education Forum online. There is a public meeting on Tues. June 13 at the BWDSB in Chesley at 6 pm to explore potential future partnerships. Our new editor of the Paisley Advocate, Joyce Craddock, would like to help promote Paisley by featuring a group of similar businesses and also service clubs in each issue. It was suggested that she contact Dianne Eaton who has done this in the past. Judy McKinnon of the Treasure Chest Museum, has been representing Paisley in the planning of Bruce County celebrations of Canada’s 150th anniversary. On the weekend of June 10 from 10-4 and the 11 from 1-4, the Paisley Town Hall, the Hose Tower and the Treasure Chest Museum will be open to the public as part of the Doors Open event. On June 28 from 7-9 pm a Trousseau Tea will be held. Judy also reported that Madison Bonderud has been hired as the museum’s summer student. Children’s summer programmes are being planned for the museum and they will be distributing more of the Paisley Heritage Walk Brochures. A motion was put forth by Mary-Gail and seconded by Joyce Craddock, that we welcome Dale Buhr as the Chamber’s new treasurer effective immediately. Dale will be replacing Craig Budreau who announced his intentions to retire from the Chamber earlier this spring. Motion carried. It was also moved by Dale Buhr and seconded by Mary-Gail that Emma Budreau’s name as an authorized signator on Chamber cheques be removed as she is no longer our secretary. Motion carried. It was moved by Mary-Gail and seconded by Karen Kimpel that both executive positions elected next month as well as new chamber memberships stand for the remainder of 2017 and all of 2018. Motion carried. Information regarding the upcoming June 23 elections for the 2017/2018 executive of the Paisley & District Chamber of Commerce along with the roles and responsibilities of those executive positions will be sent out in a separate e-mail in the next few days. One of the first tasks of the new executive will be to determine what the mandate of the chamber should be moving forward and to establish an affordable membership fee for the 2017/18 term. Meeting was adjourned at 9:02 pm.